Willow Sanders is a native Chicagoan, vegetarian, and lover of big words. She randomly bursts into song and has been known to carry on entire conversations (with those worthy of the challenge) in song lyrics. The same can also be said for movie quotes. She’s quirky and sarcastic and would rather be dancing in the rain than waiting for a storm to pass. 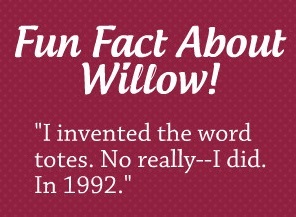 Dirty Little Secret is Willow’s debut novel. The sequel, Secrets of the Heart, is now available! For a chance to win a copy of Dirty Little Secret, visit Willow’s Facebook page, or click here to join the Reader Appreciation Author Hop. Who is the girl with the red-soled shoe? A Cinderella she certainly isn’t! A self-proclaimed nerd, twenty four year old Hillary Sloan isn’t the helpless damsel in anyone’s fairy tale. An Ivy League graduate who is hoping to get noticed as she works her way up the corporate ladder, she’s desperate to keep her alcohol fueled night of bad decisions under wraps. But, what about the DJ? Bert “DJ XTC” Morder was on the air at his overnight radio job when an old friend called him and asked to use the bathroom. He had a thing for high-heeled shoes, especially those fancy ones with the red soles Hillary was wearing. A little flirting, a kiss or ten and suddenly the pair found themselves smack dab in the middle of a scandal of epic proportions. How long can their dirty little secret stay under wraps? Hillary and Bert would have loved to keep their tawdry little romp strictly between friends, but there’s the unfortunate incident of the studio’s live stream they have to contend with. Now, all of Chicago is wondering exactly who the girl in the red-soled shoes had been. What other secrets are they hiding, and what will happen when Hillary’s dirty little secret gets exposed?